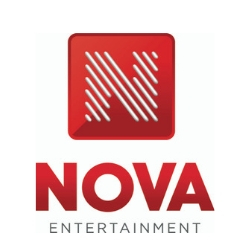 NOVA Entertainment is Australia’s fastest growing entertainment company with broad interests across the media industry. NOVA Entertainment owns and operates the Nova Network, the most listened to metro network in Australia, which includes Nova 96.9 Sydney, Nova 100 Melbourne, Nova 106.9 Brisbane, Nova 937 Perth and Nova 919 Adelaide. In addition, NOVA Entertainment also owns and operates smoothfm in Sydney and Melbourne, the talk station FIVEaa in Adelaide and Star 104.5 on the NSW Central Coast and three digital radio stations – smoothfm, Coles Radio and Koffee. The company’s radio stations are complemented by a range of digital assets across social, mobile and digital which leverage the company’s content to provide new growth opportunities, and to create and share great experiences for brands and audiences. These assets include Nova’s Red Room, the experiential music event brand, smooth channel on FOXTEL, the biggest podcast offering in the Australian market through a partnership with Acast, the millennial platform GOAT, bespoke experiential, events & activation partnership exp., and the recent strategic partnership with the world’s leading e-sports company ESL.